Tokyo Metro Hibiya Line "Roppongi Station"
Toei Oedo Line "Roppongi Station"
For other accesses, please refer to the link below. For information regarding to the events in Roppongi Hills Arena / TIFFpark, please check the Event Guide. ■Access by car　* Tickets for Tokyo International Film Festival will not be eligible for parking ticket validation services offered by Roppongi Hills. The ANA InterContinental Tokyo at Ark Hills is the closest limousine bus stop to Roppongi Hills. * From Ark Hills to Roppongi Hills we recommend taking Toei bus Route 01 and Exiting at Roppongi 6-chome. For accesses, please refer to the link below. 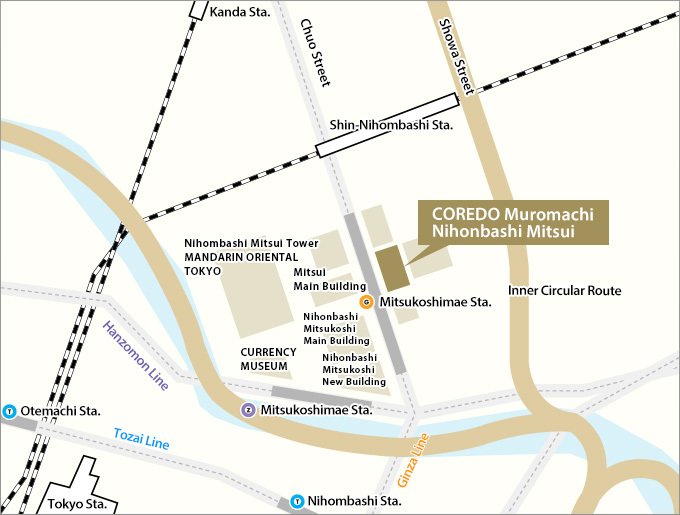 (Approximately 10 minutes walk) Walk on the Roppongi Street towards the Roppongi Crossing. Walk towards Tameike Sanno with your back towards Roppongi Hills. Pass by the Roppongi Crossing and take the second turn on the right (Times, a parking is a landmark). Walk straight forward and you will find the Cinemart Roppongi Theater to your left. Tokyo Metro Hanzomon or Ginza Line "Mitsukoshimae station"
JR Sobu Line Rapid "Shin-Nihonbashi"
Access journey times: Approx. 60 min. Access journey times: Approx. 90 min. Access journey time: approx. 40 min. Access journey time: 3 min. Access journey time: approx. 20 min.